Below is a picture record of my stay. It documents me experiencing ‘The Day of The Dead Moon‘, which is the title of the story of this war, as it has been recorded, superbly told by David Rattray. The audio record is available online at http://www.fugitivesdrift.com/shop. Upon my arrival I was greeted by a Giraffe as I entered the Fugutives’ Drift Heritage Site. The Isandlawna mountain, which plays an important role in this story, is visible in the background. From a high-point on the reserve one gets an excellent view down to the Buffalo River, the border between Natal and Zululand. What a sunset on my first evening! 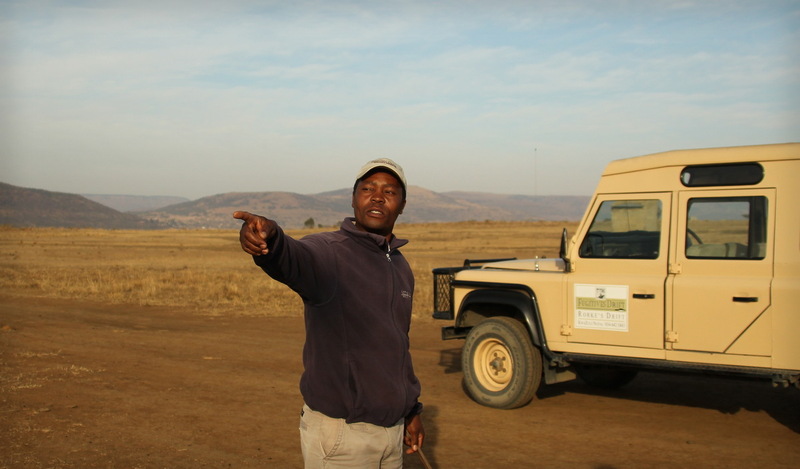 Mphiwa Ntanzi was the most excellent guide and story teller for the visit to the Isandlwana Battelfield on the second day of my stay. 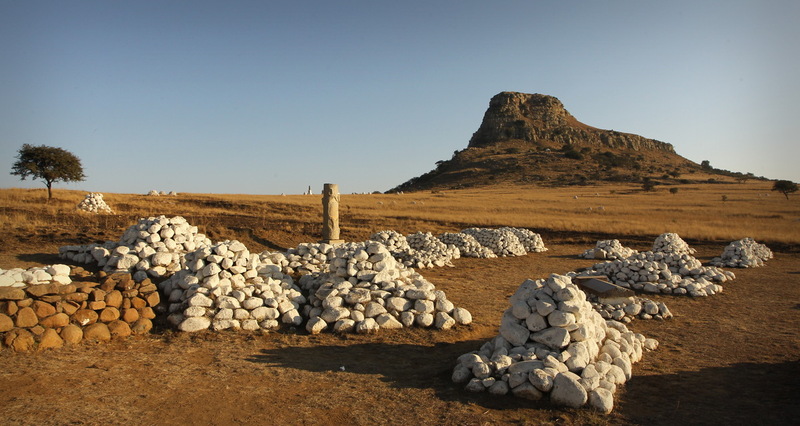 The Battle of Isandlwana was the first major confrontation in the Anglo-Zulu war. On 22 January 1879, midday – in a very hot and humid summer climate and during an eclipse of the sun (which the Zulus call ‘The Day of the Dead Moon’) – the Zulu Nation won its greatest victory in this war and the British Empire experienced its most devastating defeat. Of the 1,412 British soldiers at the start of the battle only 55 survived. A disciplined army of over 20,000 Zulu warriors was victorious. The British camp was on the left-hand slope of the mountain. 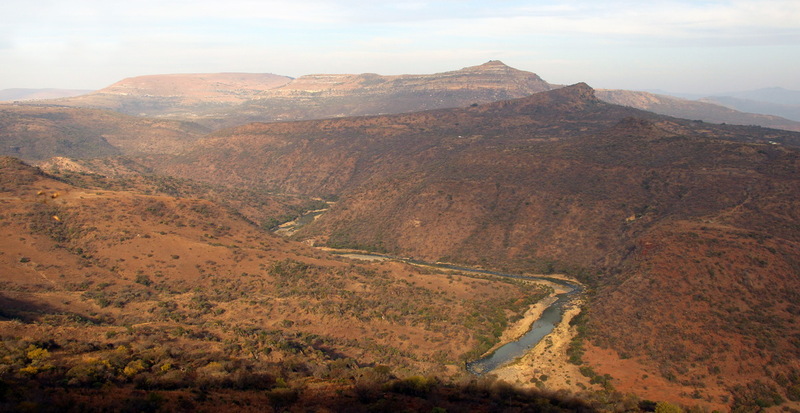 The viewpoint -from which this image was taken – was the ridge, from which the main body of the Zulu army moved towards the mountain and attacked the British position. Just imagine how you would feel to be one the British soldiers (who were in average around 5’2″-5’4″ tall) standing in the high grass (which at the time was up to 6′ high) listening to the war cries and shield-bashing of 20,000 Zulu warriors advancing on you. And remember it was quite dark on that day as the moon blocked out part of the sun around the time of the battle. 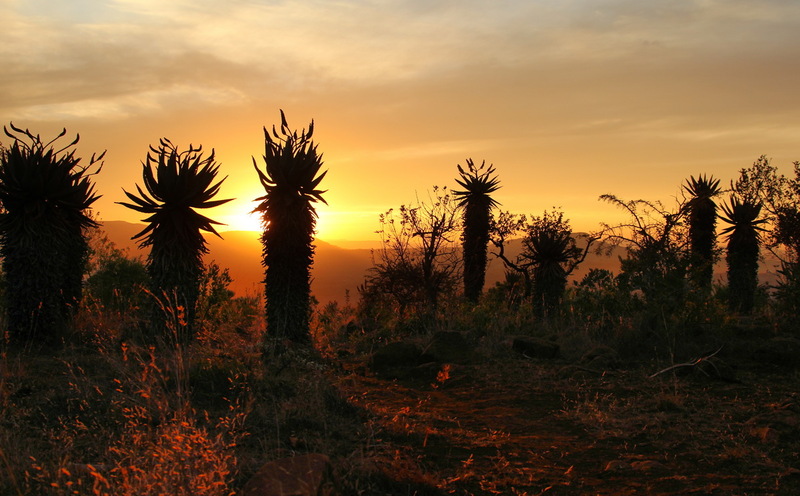 … and this is an image of the memorial to the fallen Zulus. It represents a Zulu necklace, which is awarded to a Zulu warrior for exceptional valour in battle. It is arranged in a horn formation, which symbolizes the traditional attack structure of a Zulu army. The ‘Day of the Dead Moon’ came alive when Mphiwa told us the story as we were sitting in the shade of the tree on the edge of the battlefield. It was a very moving story, masterly presented. In the late afternoon (on the same day – 22 January 1879), and during the subsequent night, the British fought one of the most heroic battles in history (this story is the basis for the famous film ‘Zulu’). 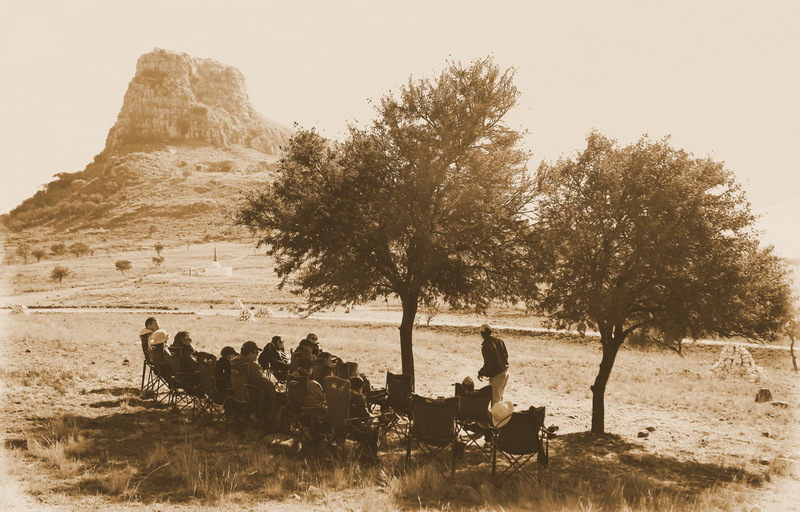 As we visited this site, where a mere 137 men defended the small mission station at Rorke’s Drift against thousands of Zulus, Doug Rattray was telling us the story of the second battle of this historical day. Only 16 of the British soldiers died in this fierce encounter. Victoria crosses were awarded to 12 of the British for their bravery, more than in any other battle in history. Doug’s excellent storytelling skills turned this afternoon into much more than just another visit to a historical site. 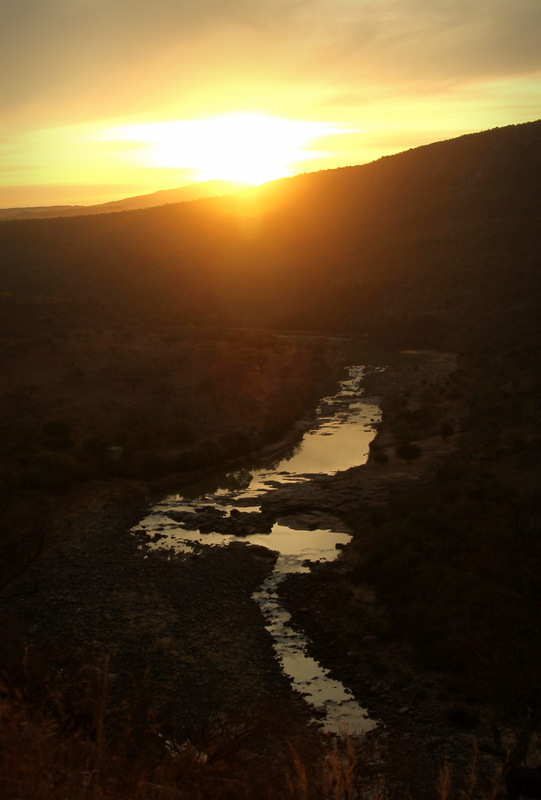 I also took a walk to the Buffalo River at Fugitives’ Drift, where some of the survivors from the Isandlwana disaster crossed on their flight from the pursuing Zulus at the same time as the Zulus started their assault on Rorke’s Drift. Dickon, our guide on this walk, told us the gripping story of the British soldiers who died in the attempt to save the Regimental Queens Colours. Two more Victoria crosses were awarded for bravery on this occasion. It was great to hear all the stories, especially because the three guides always tried to explain the British view and the Zulu view of these tragedies. As I left Fugitives’ Drift I was certain that I will be back. 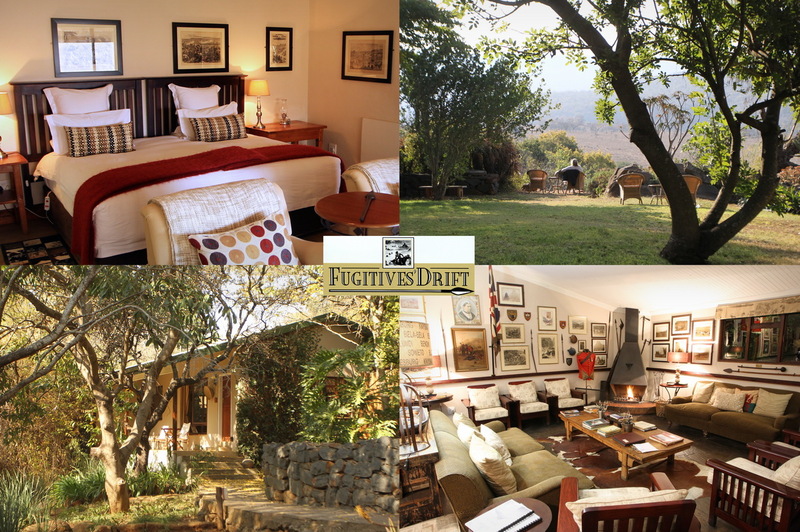 If you are interested in history and if you enjoy stunning scenery, then Fugitives’ Drift should be part of your agenda when visiting KwaZulu Natal. 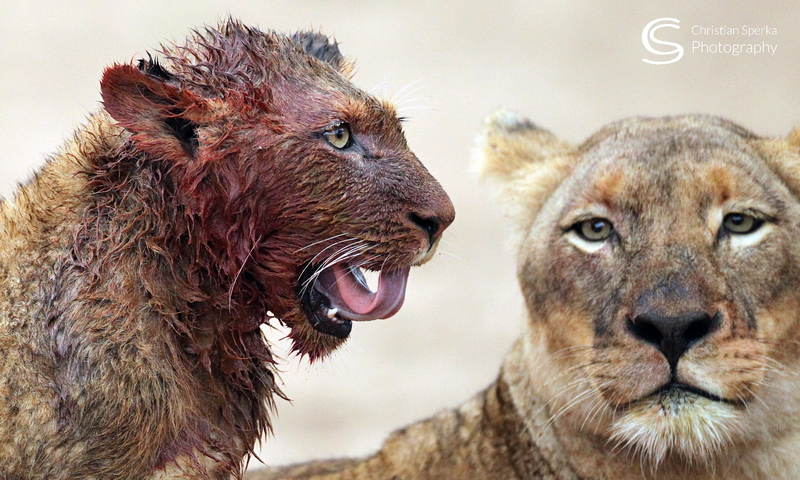 Thanda’s Resident Wildlife Photographer, Christian Sperka, has recently visited some of the battlefields of the Anglo-Zulu war of 1879 and stayed at the Fugities’ Drift Lodge. This is an interesting ‘visual’ record of his trip! 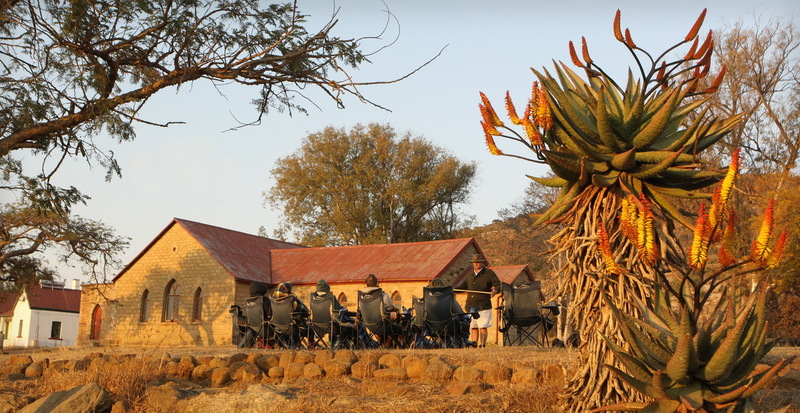 Thanda offers a special ‘Battlefields and Bush’ package which incorporates a safari at Thanda and a battlefields experience with a stay at Fugities’ Drift – More details at http://www.thanda.com/packages/battlefields-bush.htm. Christian, Great travel log! Wondering if you would let me use it for either the August or September issue of the Camera Club Council of TN’s newsletter “3CT in Focus”? We now have 22 member clubs across the state. You can check out our newsletters at http://www.3ct.org. It has won one second and two first place awards in PSA’s Newsletter contest and we are hopeing for another first this year. Thanks a lot for re-posting this story. I agree that this is a ‘must’ for anyone interested in the history of this country! Previous PostPrevious Horses | Birds | Wildlife | Food | Beautiful Place | Pakamisa! Next PostNext Vigilant ‘house cats’, the neighbours’ kits at play and an excited gentleman in front of the house!